CHELSEA Clinton has condemned an anti-transgender bus that is headed to Malaga. Hillary Clinton’s daughter took to Twitter to urge Catholic group Hazte Oir not to ‘bring these buses to the U.S. (or anywhere)’ as it revealed a new bus to tour the country next week. 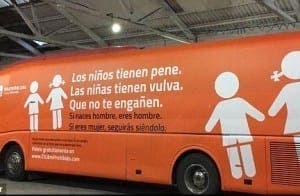 The bright orange bus is the third to have been commissioned by the conservative group, whose original vehicle was impounded in Madrid pending an investigation into a transphobic message emblazoned down its sides. 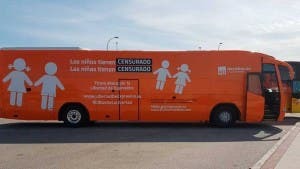 Sevilla, Cadiz, Barcelona and Valencia are among the 10 cities on the route of the bus, which carries a new message that reads: “Children have ‘censored’, girls have ‘censored. Sign now for freedom of expression” in an attempt to avoid another ban. Julio Andrade, Malaga councillor for social rights, said the council ‘lacked the capacity’ to ban the bus from the city but appealed to the province’s government subdelegation and the junta to check if the arrival of the bus could be in breach of demonstration or transport laws. 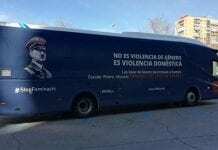 Podemos Malaga said the measures do not go far enough and called for a blanket ban on the bus. 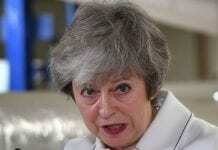 These stupid buses could be a threat to public order. That should be enough to keep them off the streets.